A Shropshire law firm has launched a campaign to encourage people to think about their ‘digital assets’. 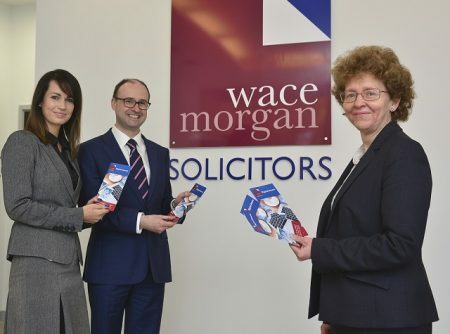 Wace Morgan Solicitors, based in Shrewsbury, is urging people to consider what should happen to their online accounts and electronic files when they die. The firm has developed a new information leaflet and ‘digital asset log’ for clients to complete as part of the campaign. Solicitor Emma Jacobs said that she and colleagues in the private client department at Wace Morgan had also received training in this increasingly-important issue. “Four out of five people own digital assets but only 9% of these have thought about how they will pass them on when they die or lose the mental capacity to manage them through injury or illness,” said Emma. “Digital assets include online bank and betting accounts, photos, music and emails and we want to encourage people to think about who will inherit or be permitted to access these. Digital assets with financial value include online banking, PayPal, online shopping accounts and cryptocurrencies, for example Bitcoins, and those with social value include Twitter, Facebook and LinkedIn profiles. There are also those having personal significance such as Flickr, YouTube and iTunes. Emma added: “You have the legal right to pass on digital assets with financial value to your chosen beneficiaries. You also have the right to manage the deactivation, memorialisation or deletion of your social media and email accounts but you must exercise these rights by making a will and ensuring your wishes are known – it is very important to plan ahead.